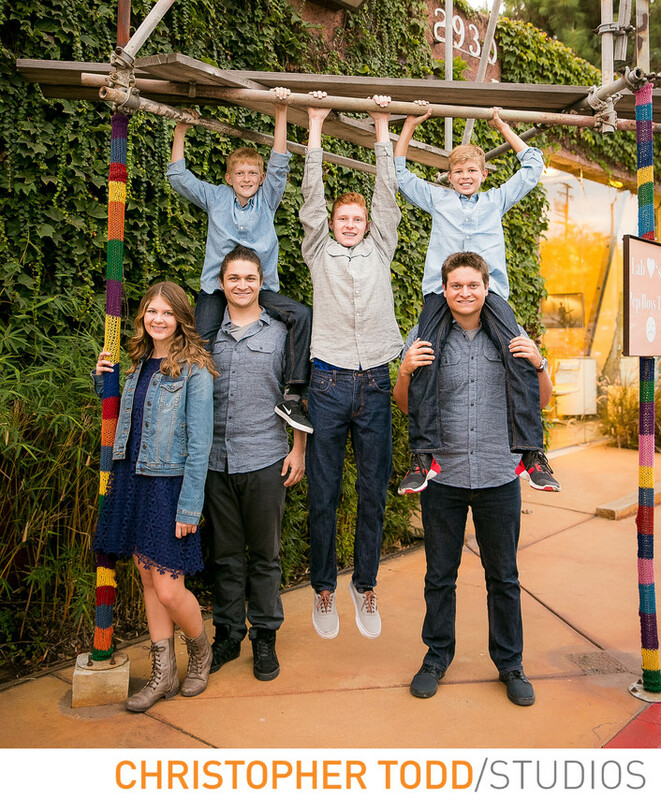 This family holiday mini session in Orange County was a blast. We photographed the children and their parents at The Camp in Costa Mesa. An eclectic location for fun vibrant portraits. We offer holiday mini sessions that are perfect for holiday cards, gifts for grandparents. A simple and easy way to update family photos. We can help you with choosing the best location, style guide, and products for your family photos. 1/60; f/3.2; ISO 800; 33.0 mm.